I was a little afraid of how cinnamon and chocolate would work together, but it actually was pretty good. This was a quick recipe, so I tried to be as efficient as possible. 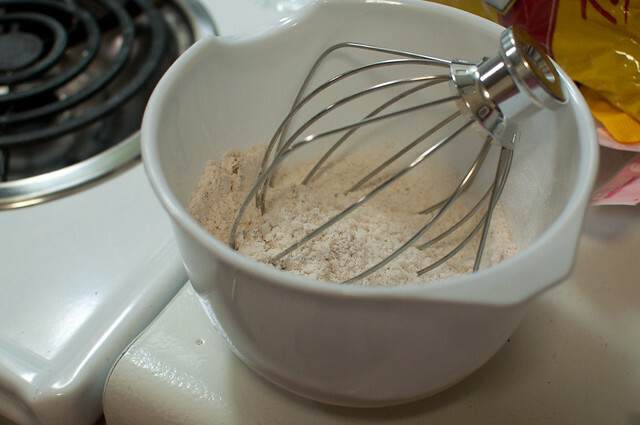 Notice how I used the whisk attachment to mix the dry ingredients together? 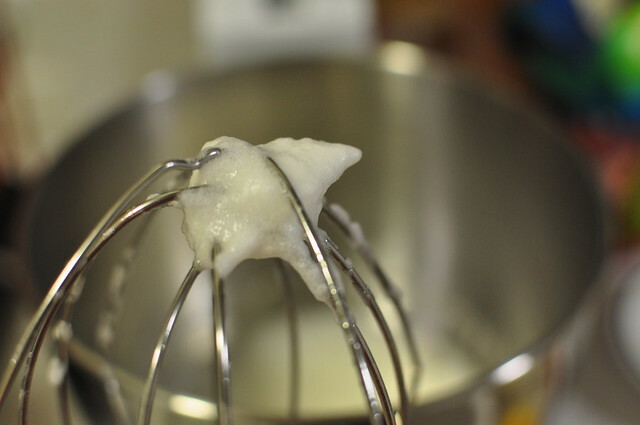 Then I beat the egg whites until they had stiff peaks… like so. Then you add the egg yolks and beat a couple minutes more. Once that’s taken care of you add the dry ingredients, alternating between that and milk. 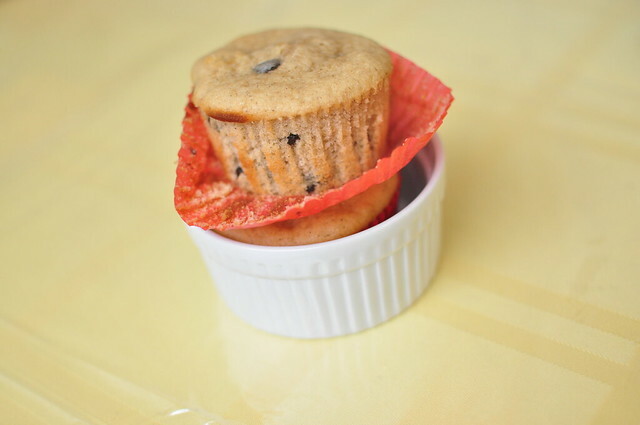 If you’d like the cakes to be very moist, add an extra 1/2 cup of milk. I did this on accident, but after the fact, it turned out to be a very moist cake. Once that is incorporated, add the egg whites with a spatula. 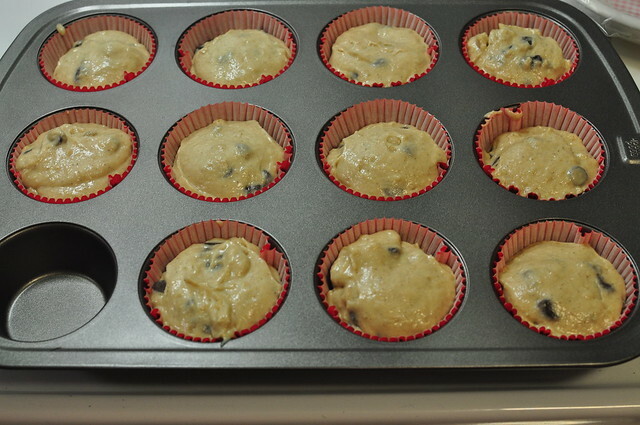 This is where you add the chocolate chips now. Center a rack in the oven and preheat the oven to 375 degrees. Generously butter the muffin pan. 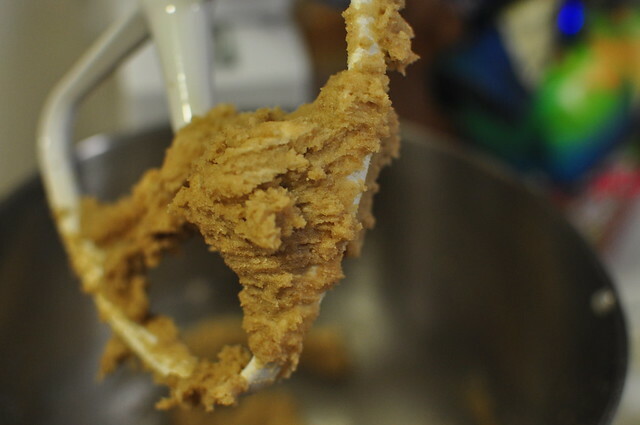 Whisk together the flour, baking powder, cinnamon, and the ⅛ teaspoon salt. Working with a stand mixer fitted with the whisk attachment or with a hand mixer in a large bowl, beat the egg whites with the pinch of salt until they form firm, glossy peaks. Switch to a large rubber spatula and lighten the batter by stirring in about one quarter of the stiffly beaten egg whites. Fold in the rest of the whites, working as gently as you can. Since the cake batter is heavy, it’s only natural you’ll deflate the whites a little — don’t be concerned. 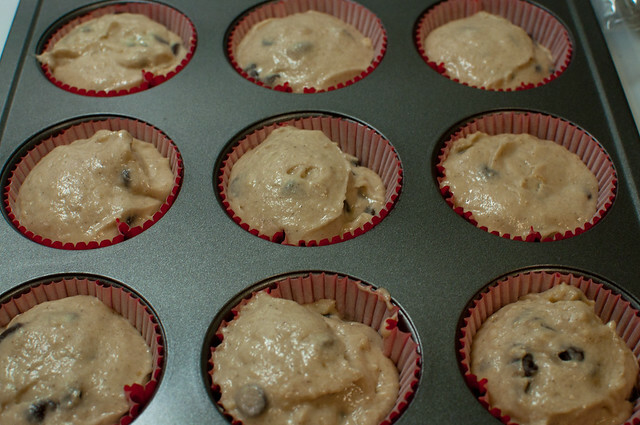 Still working with as light a handle as possible, fold in the chocolate chips, and scrape the batter into the prepared pan. Bake the cake for about 15-20 minutes, or until it is golden and a toothpick inserted into the center comes out clean. Transfer the cake to a cooling rack and cool in the pan.